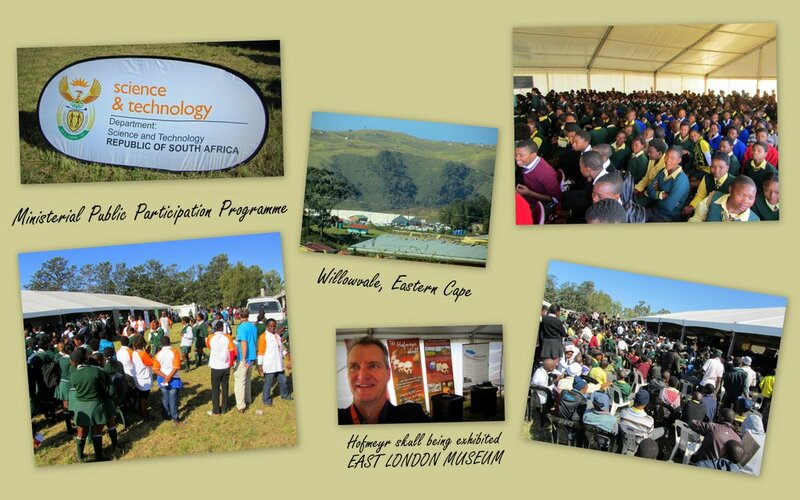 The East London Museum participated in the National Science and Technology Department’s public outreach programme in Willowvale (August 2012). An opportunity was presented to talk about the East London Museum and to promote fields of study such as archeology and paleoanthropology. The Hofmeyr skull was the central feature of the museum’s exhibit.